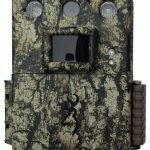 The mid-range version of Browning’s Dark Ops line of trail cameras gives a lot of functionality without too hefty of a price. The Dark Ops line of cameras are designed to be small cameras that will blend easily into their surroundings and provide stealth photography with an invisible flash and silent operation. Or you know, they designed the camera to live up to the name of Dark Ops. The 2018 model of the Browning Dark Ops Pro is a step above the earlier models of the camera. Many of the problems that people had with the camera have been fixed. It’s as if a company were actually listening to their customers and actively trying to make a better product! All kidding aside, the improvements in this camera show that Browning are committed to providing the best for their customers and it shows why they have such a loyal following. We have spent hours researching what customers and reviewers are saying about this camera and below we present our findings. As always, if you are looking for information about a specific function of the camera you can use the table of contents below to jump right to that information. Or else, read on to find out if the Dark Ops Pro is the right camera for your particular Trail Camera needs. The Dark Ops Pro takes 18MP pixel photos with an effective pixel resolution of 2304 x 1536, giving the camera a higher resolution than the Dark Ops Extreme. There are four levels of picture quality available for this camera. You can choose between the 18MP Ultra setting, the 12MP High setting, the 8MP Medium setting or the Low setting that takes pictures at 4MP. These settings are useful to have. High Quality photos are great, but if you are looking for a quantity of photos to get an idea what animals are present in an active area, the drastically smaller file size of the Medium or Low settings might be exactly what you need. This years model improves the quality of day time still photos. Some reviewers have reported that the camera does lean heavily towards a green/yellow tint to photographs. We aren’t sure if this would be an issue for photography in the fall and winter. But if super crisp clarity is what you are looking for the slight green hue saturation could a turn off. For still photography at night, there are good and not quite so good aspects. On the plus side, the camera adjusts better to animals at close range than earlier models did. You can expect to find less ‘white-out’ pictures on your memory card from the cameras flash washing out photos of animals only a few feet from where you have mounted the camera. On the not quite so good side, the night photos do tend to be a little grainy in quality. We expect that in a year or two this is going to be less of an issue as Browning continues to improve upon their cameras. But for now, if you are looking for higher quality night photos in a Browning camera you may need to either sacrifice the stealth of an invisible flash, or step up to the Dark Ops Pro XD. The camera records video with a resolution of 1296 X 720 with sound. There is the option to choose between Ultra quality or High quality. Both settings keep the same resolution but differ in the amount the video files are compressed. For example, from the Browning Dark Ops Pro manual, with a 32GB memory cared you will be able to save 535 20 second videos at Ultra, or 714 20 second videos at the High setting. You have the choice of recording videos of 5, 10, 20 or 30 seconds; or for one or two minutes during the day. There is also the option for using what Browning calls Smart IR video. With this feature the camera will continue to record video during the day as long as camera continues to detect movement for up t0 5 minutes. We like this feature on the camera since it allows you to not worry that the video will cut out while filming an animals behavior, but also gives you more time between having to switch SD cards since you don’t have the set a high video record time just so you don’t miss anything. Like some other Browning cameras, the camera will only record for up to 20 seconds at night. This can be an issue if you are possibly using the camera for surveillance, or you are interested in the activities of nocturnal animals. If these are what you are mainly interested in you might be better off with a different camera. 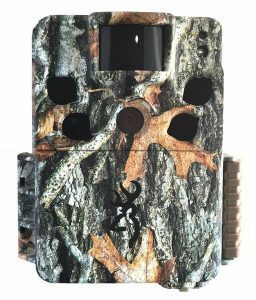 There are a number of settings the Dark Ops Pro trail camera gives you to really customize how the photographs are taken. The camera gives you a fairly large selection of pre-sets for the delay between each trigger event. You can choose between a capture delay of 1, 5, 10, 20, 30, 60 seconds and 2 , 5, 10, 30 and 60 seconds. The capture delay is useful when you don’t want a lot of photographs of the same animal or event. It can cut down on the number of essentially the same photographs while an animal is present in your yard or at a feeding area. There is also a feature called “Time Lapse Plus”. What this feature does is it allows your camera to take pictures of movement it detects, but it also allows you to set an amount of time when pictures will be automatically taken, even if there is no movement. This is a great option if you are scouting a large area, and want to get an overview of what is going on past the detection range. Time Lapse Plus allows you to choose between the frequency photos will be taken and different presets for periods when the feature will work. You can set the camera to take photos every 5, 10, 15, 30, 60 seconds or every 2, 5, 10, 30 or 60 minutes. And you have the option of using this mode all day, or else for 2, 3 or 4 hours after sunrise and before sunset. One draw back of the Time Lapse feature is that when you use the All Day setting, it will only take the pictures between sunrise and sunset. There is no option for using the time lapse feature at night. For still photography you also have the choice between taking a single picture for each trigger event, or a number of photos. By default the camera will take one photo each time it’s triggered. There are two preset options though, a standard Multi-Shot and Rapid Fire setting. For Multi-Shot you can choose between taking 2 and 8 photographs each time the camera is triggered with a 2 second delay between photos. 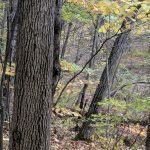 If you are looking to capture a moving animal on a trail the Rapid Fire option might be perfect. Each time the camera is triggered you can choose between 2 and 8 photos taken with only a .3 second delay between each shot. You also have the option of choosing between quality settings, as we discussed above in the sections on still photos and video. The best way to figure these settings out for yourself is to take some pictures and videos at different qualities and see where the sweet spot is for you between quality and size. Generally, Browning’s Dark Ops Pro has a very impressive trigger speed. For photography, the trigger speed is around .2 seconds with a 1.2 second delay between trigger events. 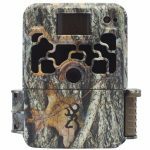 This is about as fast as you can expect to get for a trail camera at this price range. And for most uses it’s definitely fast enough. The only real issue is that there is a glitch to the camera where some users report that the delay between events is around 7 seconds every seventh photo. The Dark Ops Pro has the same delay when the camera is in video mode, and the trigger speed is a little slower at .4s, but still fast for cameras in this price range. The motion sensor is based on IR detection that uses the movement of heat changes to trigger the camera. The camera has a reported range of 80 feet, but users have reported best results between 50 and 70 feet. There are some complaints about the camera failing to detect all of the animals in an area. 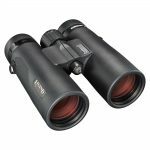 People using two different cameras in the same area found that the Dark Ops Pro was missing animals that the other camera was getting pictures of. This sounds like an issue to individual cameras and while it could be bothersome, it’s most likely a defect that Browning can correct under the warranty. To be honest though, we had a hard time figuring out if the people reporting these problems were having it with the 2018 model or an earlier model. The camera uses an invisible Infrared “Night Vision” LED flash that can’t be detected by the human eye. We aren’t sure if it really is undetectable by all animals, but especially for deer they generally appear to be less spooked with an invisible flash than a traditional or low-glow flash. The camera’s flash range is reported at 80 feet, but like the motion detection it works best at a maximum of 50 to 70 feet. The camera does a pretty good job at taking close up shots of animals, you aren’t going to find as many whited out close up shots of animals with this camera. The picture quality of night photos is average. There is some graininess to the photos. For video the results are also average, with the possible drawback of only being able to record a maximum of 20 seconds for a trigger event. 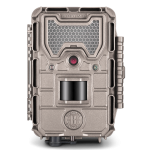 The compact size and camouflage finish on the case make this camera very easy to mount and conceal. 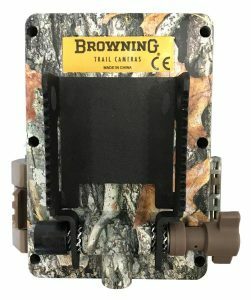 For extra durability there are security boxes available from Browning that you can use to protect your camera. Also, on the bottom of the case there is a built in channel that you can use to further secure your camera with a steel cable or a python lock. Browning seems to have really mastered getting a good battery life for their cameras. The Dark Ops Pro uses 6 AA batteries, and with the low power draw you could expect to get a year out of one set of batteries if you are only taking pictures. But, even using the camera for video you could still expect to get through a season one just one set of batteries. The camera also has a 12 volt external power jack, which could provide you more options for powering the camera. And if a year isn’t enough, or you’re worried you might be taking more than an average number of pictures and your batteries won’t last as long, it’s always an option to invest in Browning’s external battery pack as a back up. The camera uses up to a 64GB SD card. It also supports upto a 512GB SDXC memory card. With 512GB you probably won’t need to worry about filling it up anytime soon with pictures or videos. You might also want to invest in a 5/16″ cable and lock depending on where you are planning to mount your camera and the level of security you will need from would be thieves. We really like Browning’s Dark Ops Pro camera. For the price the camera has a great set of features, takes more an adequate photos and will save you a ton of money on batteries compared to some similar brands. One of the features we really like is that there is a built in screen that allows you to preview pictures and videos in the field. The viewer also makes setting up the camera a lot easier. Being able to see live the area that your camera is capturing takes a lot of the guessing out of setting up a camera and then needing to come back and readjust after you see the results. The display is also easy to read, which is a complaint that people have about some cameras. The 2018 model has made accessing the SD card easier, this was a complaint about earlier models, that even without gloves on it was very difficult to remove the memory card in the field. Along with the average night quality that might be an issue for some people, the camera does have a couple of other issues that we think are minor but which might be important depending on how you plan to use the camera. The first issue is that there seems to be problems with the temperature being displayed on the pictures being quite inaccurate. We usually think of the information printed on to the camera as a nice addition, but not as something that makes or breaks the camera, but if you are say using the camera as part of a research project in the wild, this could be an issue. The second, is that there are reports of their being problems with the camera is that if you try to turn of the camera and the recovery time is at the fastest setting it may continue taking pictures as long as movement is detected. This is easily solved by making sure that the camera can’t see movement by covering the motion sensor, but it’s still an issue that we thought could be important to some people. 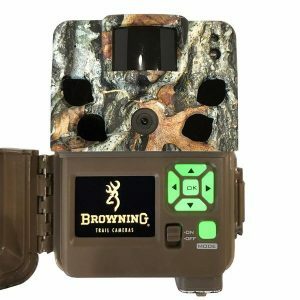 We believe the positive features of the camera outweigh any of the negatives, and for most people looking for an easy to set up and conceal trail camera that won’t cost you a fortune in batteries Browning’s Dark Ops Pro is a great choice.